Call it a technical foul for traveling. President Donald Trump on Sunday fired off a Twitter tirade against the outspoken father of one of the UCLA basketball players arrested on suspicion of shoplifting while touring in China. Trump called the young man "ungrateful" for his favor and said he should have left the players in jail. "Now that the three basketball players are out of China and saved from years in jail, LaVar Ball, the father of LiAngelo, is unaccepting of what I did for his son and that shoplifting is no big deal. I should have left them in jail!" Trump said on Twitter Sunday morning. The president published a second angry tweet Sunday evening. "Shoplifting is a very big deal in China, as it should be (5-10 years in jail), but not to father LaVar. Should have gotten his son out during my next trip to China instead. China told them why they were released. Very ungrateful!" The Twitter storm was in response to former basketball player LaVar Ball's brushing off any role Trump had in his son's release from a Chinese prison. "Who? What was he over there for? Don't tell me nothing," Ball told ESPN on Friday. "Everybody wants to make it seem like he helped me out." Ball's son LiAngelo, as well as Jalen Hill and Cody Riley, were detained in Hangzhou, about 100 miles southwest of Shanghai, on shoplifting charges a day before Trump arrived in China for his Asia tour. They were released and returned to the United States on last week. Trump took credit for the release, saying he had discussed the basketball players' fate during a meeting with his Chinese counterpart, Xi Jinping, before tweeting a message to the young men on Thursday. "To the three UCLA basketball players I say: You're welcome, go out and give a big Thank You to President Xi Jinping of China who made...your release possible and, HAVE A GREAT LIFE! Be careful, there are many pitfalls on the long and winding road of life! All three players thanked Trump at a news conference following their return. Trump's social media director, Dan Scavino, also unleashed a fiery tweet at Ball from his personal Twitter account on Saturday. "Wannabe @Lakers coach, BIG MOUTH @Lavarbigballer knows if it weren't for President @realDonaldTrump, his son would be in China for a long, long, long time! 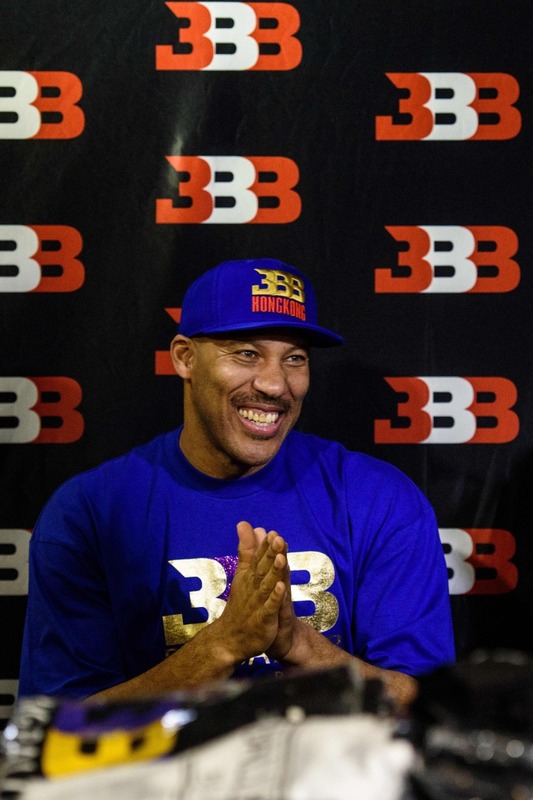 #FACT"
Ball, who is also the owner of the sports gear company Big Baller Brand, told ESPN that people "try to make a big deal out of nothing," adding that "one bad decision doesn't define" his son.